GenEssentials™ Probiotic is the only probiotic available with fermented superfoods and fortified with FOS (Fructooligosaccharides), a type of prebiotic that supports healthy intestinal microflora. Our superior blend contains no animal sources and includes 17 beneficial strains of health-promoting bacteria superfruits, sprouted greens, and fermented fruits and vegetables. The combination of probiotic bacteria with sprouted greens and fermented fruits and vegetables helps encourage a healthy intestinal environment, which supports healthy digestion, optimal absorption of nutrients, and healthy elimination. GenEssentials™ Probiotic contains only natural, plant-based ingredients in a shelf-stable, enteric-coated capsule. This formula is 100% vegetarian, non-GMO and completely free of gluten, dairy, lactose, soy, corn, and psyllium. Healthy Gut Microflora - Probiotics (which means “for-bacteria”) consist of beneficial and “friendly” strains of bacteria that play an extremely important role in theintestine’s defense barrier, which help to crowd out unfriendly organisms. 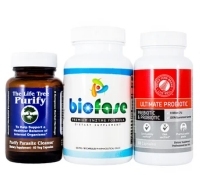 The types of strains of probiotic bacteria selected for the GenEssentials Probiotics have been extensively explored for the ability to defend against toxins and invading organisms, support healthy immune function, preserve the key nutrients produced by the bacteria, prevent the decay of poorly digested foods, and maintain the healthy microbial balance of the colon. Healthy Immune Function - Probiotic bacteria are believed to play a role in regulating immune cell signaling, and may stimulate healthy immune responses by gut immune cells in the gut-associated-lymphoid-tissue, or GALT. Probiotics are also being studied for potential protective roles against hypersensitivity and allergic reactions, and may help to support healthy local and systemic immune responses. 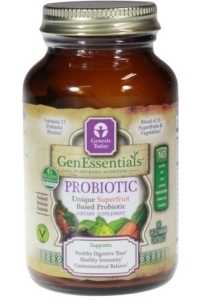 Genesis Today GenEssentials Probiotic include well-researched and trusted strains of Lactobacillus and Bifidobacterium, which have been chosen to promote a balanced intestinal ecology and healthy immune responses. Balanced Intestinal Tract - A healthy digestive tract consists of an upper bowel (stomach, duodenum, and jejunum) having a sparse microflora. From the lower part of the small intestine on into the colon, bacterial concentrations gradually increase. In many gut-related health conditions, there is often an imbalance in the normal populations (types and numbers) of bacteria in the various intestinal sites. Probiotics may promote microflora balance and encourage the release of nutrients from foods for absorption. Some probiotics may also metabolize to short chain fatty acids (SCFAs), which serve as an important energy source that is required by the intestinal immune cells. Lactobacillus probiotics, in particular, help to maintain healthy microbial populations since these probiotic bacteria produce lactic acid, lowering the pH, which makes the intestinal environment inhospitable for the growth of pathogenic bacteria. 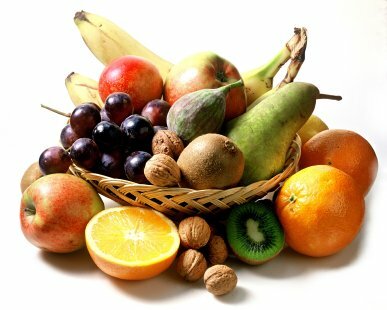 Healthy Digestive Processes - A healthy digestive tract consists of an upper bowel (stomach, duodenum, and jejunum) having a sparse microflora. From the lower part of the small intestine on into the colon, bacterial concentrations gradually increase. In many gut-related health conditions, there is often an imbalance in the normal populations (types and numbers) of bacteria in the various intestinal sites. Probiotics may promote microflora balance and encourage the release of nutrients from foods for absorption. Some probiotics may also metabolize to short chain fatty acids (SCFAs), which serve as an important energy source that is required by the intestinal immune cells. Lactobacillus probiotics, in particular, help to maintain healthy microbial populations since these probiotic bacteria produce lactic acid, lowering the pH, which makes the intestinal environment inhospitable for the growth of pathogenic bacteria. Healthy Inflammatory Responses - In many inflammatory and gut-related health conditions, inflammation is often accompanied by an imbalanced intestinal microflora and an altered immune response. Probiotics may support healthy inflammatory responses through many mechanisms. Probiotics have been shown to compete with harmful microorganisms for food, support the normal production of anti-inflammatory protein molecules, encourage the stimulation of healthy immune responses in the gut, boost the body’s production of antimicrobial compounds, and preserve the integrity and function of the intestinal immune barrier. 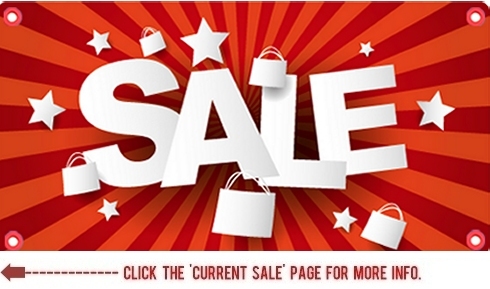 Click here for Probiotic ingredient Listing. Why does GenEssentials Probiotic come in a capsule? GenEssentials Probiotic comes in a shelf-stable, enteric-coated capsule that remains intact when bypassing the acidic part of the upper digestive system, and then gradually releases its contents upon entering the colon, to target where the bacteria thrive and colonize. Who would benefit from taking GenEssentials Probiotic? 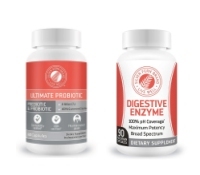 Because of all the potential benefits of taking probiotics, they may offer support for anyone looking to restore gastrointestinal normalcy, healthy immune function, and overall health and wellness. 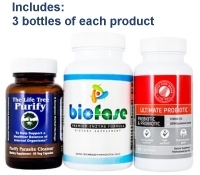 This product would be great for those who have just finished a round of antibiotics, have an increased susceptibility to infections, who want to enhance a detoxification program, have completed a full parasite cleansing regime, and for those wanting to maintain healthy digestive processes on a daily basis! Take 3 capsules anytime during the day. Want To Fully Maximize Your Digestion? Supports: Healthy Digestion, Healthy Metabolism, Healthy Colon, Healthy Gut Microflora, Healthy Inflammatory Responses, Healthy Immune Function, Healthy Digestive Processes, Balanced Intestinal Tract. 1 x Digestion - Superior Enzyme Blend.